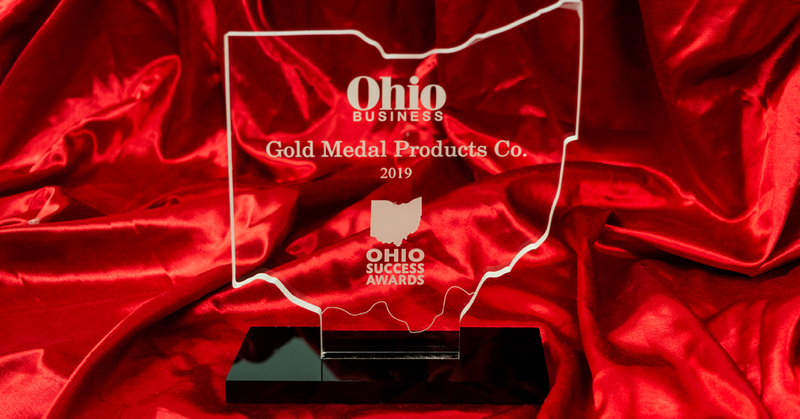 Ohio Success Awards Honor Gold Medal Products Co.
2019 is the inaugural year for the Ohio Success Awards, distinguishing businesses and organizations statewide that demonstrate both growth and community service. Ohio Business Magazine recognized Gold Medal as one of the award winners in a ceremony on Friday, March 15, 2019 at the Ohio Statehouse in Columbus. Over 50 business, non-profits, and government organizations were selected to receive an award and acknowledgement. However, the purpose was more than just receiving awards. The event also served as a forum to connect with decision makers on the issues and objectives throughout the state. All the winners were profiled and featured in the Winter 2019 edition of Ohio Business Magazine.